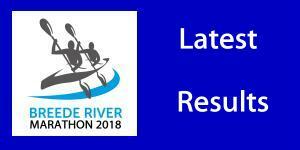 The organisers of the Breede River Canoe Marathon on 25 and 26 August have extended the closing date for normal entries after a weekend of racing on good water levels has sparked fresh interest in the two day race that will double as the SA K2 River Championships for 2018. Rains bolstered the water level for the race from Bonnievale to Swellendam on the weekend, won by the defending Breede champions Kenny Rice and Stu MacLaren, and in the process ignited a wave of interest in the Western Cape classic in a fortnight’s time. 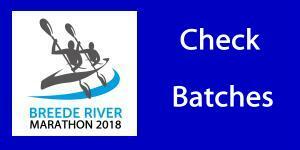 “After a great weekend on the Breede River there has been sudden increase in interest in the Breede Marathon, so we have extended the closing date for normal entries by a week,” said race committee head Richard Allen. “We are keeping the entry fee the same, but we can’t guarantee that every entrant will get the race jackets that we have arranged as the race apparel for this year,” he added. Interest in the race is being fuelled by the recent confirmation that the event will double as the SA K2 river marathon championships, and it’s timing ahead of the world marathon championships in Portugal next month.